KUKA offers a wide range of robots offering various payload capacities and reaches. 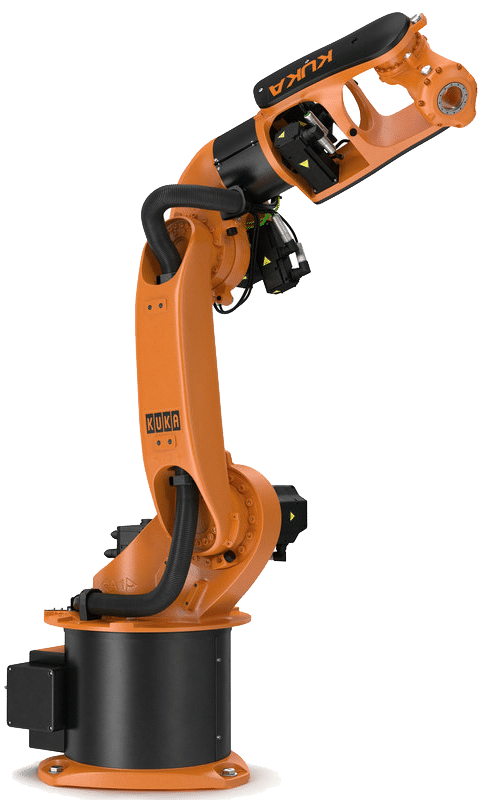 KUKA’s spectrum of products also includes the appropriate robot peripheral equipment – from linear units and manipulators to end effectors. Combined with cutting-edge software and innovative controllers, Olympus Technologies can develop and integrate individual solutions for your manufacturing processes. Six-axis robots in virtually all sizes with different payload capacities and reaches and a wide range of different variants. Olympus Technologies will design your Kuka robot system to your requirements. Along with your robot we can supply manual and automatic turntables and external axis manipulators to provide two or more working stations. All additional axes can be completely integrated with the main robot controller, enabling complete synchronisation.